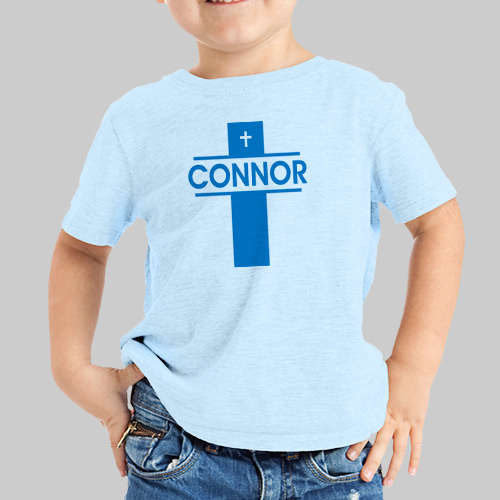 Sunday school or Bible study will be even more fun with a Personalized Cross T-shirt celebrating the love for Jesus. Our Religious Cross Youth T-Shirt is available on our premium pink or light blue 100% cotton t-shirt, machine washable in youth sizes S-XL. Includes FREE Personalization! 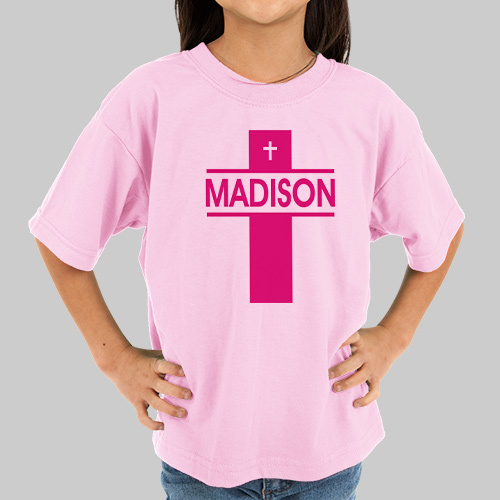 Personalize your Religious Cross Youth T-Shirt with any name. This was a hit for my neice's First Communion gift. I love that it is such a unique gift that can be personalized even with uncommon names. The size was completely accurate. Giftsforyounow.com has an excellent assortment of customized Catholic Confirmation Gifts for her or him. Whether you need a unique Catholic Confirmation Gift for your son or daughter, brother or sister, wife or husband you are sure to find that perfect Personalized Confirmation Gift. We even have custom Catholic Confirmation Gift ideas for your Confirmation Sponsor or Confirmation Sponsors. So, for that special person in your life that is making their Confirmation, you can count on Giftsforyounow.com to help you find the perfect Confirmation Gift idea, just for him or her.